“BROCKHAMPTON is not another rap collective nor do they aim to be. They are The All American Boy Band and they want the world to take note.” So declares Kevin Abstract, JOBA, Ameer Vann, Matt Champion, Dom McLennon, Rodney Tenor, and Merlyn Wood, straight outta San Marcos, Texas. They came together as BROCKHAMPTON on New Years 2015 and immediately made noise with bold mission statements, crazy style, and peerless music, winning the VFILES x FG x MTV VFILES LOUD! 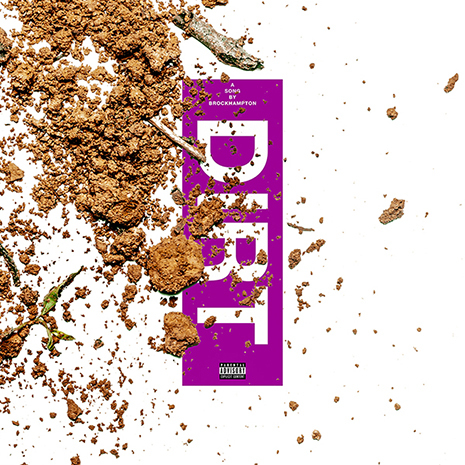 competition with “Dirt,” a postmodern posse cut made from spazzy piano riffs, bugged out references (“my iPhone got iPhones so all my friends can talk to me”), and wildly self-assured flows that bounce from syrup-speed to hyperactive within seconds. Sleeve art by HK.